Depending on if you or your business would be classified as a Builder, an Associate, or an Affiliate, you probably want to know about the specific benefits that come along with a membership in the Home Builders Association of Greater Baton Rouge. We've compiled several testimonials from a variety of members that hopefully demonstrate the tangible benefits you can expect! Home Builders Association of Greater Baton Rouge (HBA of GBR) offers a unified voice on industry issues and is proud to be the recognized leader in the home building industry and a major voice in governmental affairs. Membership benefits can help you work smarter, not harder to enhance your business whether you build one home or 1,000 homes per year. HBA of GBR offers benefits that can save you money, too! No one can afford to "do it alone" in an enterprise so vital to your region, so impacted by the global market, and so susceptible to the impact of public policy. The association operates for the benefit of the housing industry and those engaged in related fields in the parishes of East Baton Rouge, West Baton Rouge, Livingston, Ascension, East Feliciana, West Feliciana, Iberville, Pointe Coupee, and St. Helena. I encourage you to join with your fellow builders and become part of the industry that supports you. When you join HBA of GBR, you automatically become a member of the Louisiana Home Builders Association (LHBA) and the National Association of Home Builders (NAHB). Carroll Construction's membership in HBA of GBR helps keep us competitive because there are so many opportunities to network, market to our target clients, and even share industry information between members. Another incredibly important aspect of HBA of GBR membership is staying up-to-date on regulatory issues, business administration solutions, local codes & ordinances, and national/state/local trends. Membership is a no-brainer for me. As someone returning to the construction business after many years, HBA of GBR offered the best source of general liability and workers comp insurance. The focused and pertinent educational programs help me get up to speed on critical code and building technology issues. 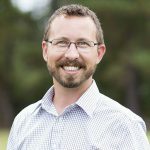 I've worked to become a Certified Graduate Builder and Green Building Professional and those help to establish credibility with customers and the real estate community. I've developed a relationship with my peers in the business that is invaluable. I can't imagine trying to do what I do without HBA of GBR. We want to hear from our Builder Members! The HBA of GBR has helped my business, Academy Painting, LLC, gain some very prominent exposure through events like the Building and Remodeling Show. Plus, I really value the networking opportunities so that I can establish more contacts within the remodeling and new construction industries. 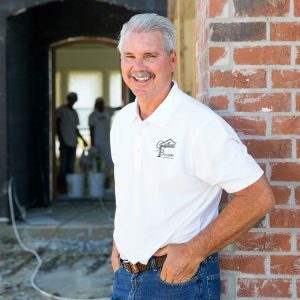 As a service provider who specializes in working with businesses in the construction and remodeling industry, there is no better organization in which to market than Home Builders Association of Greater Baton Rouge! Not only do the multiple networking events offer me a chance to get face-time with potential clients, but the community events, like the Parade of Homes and Building & Remodeling Show, provide an opportunity for me to reach non-members within the industry. I highly encourage service providers to consider joining HBA of GBR...it is well worth the investment! We want to hear from our Associate Members! We want to hear from our Affiliate Members!